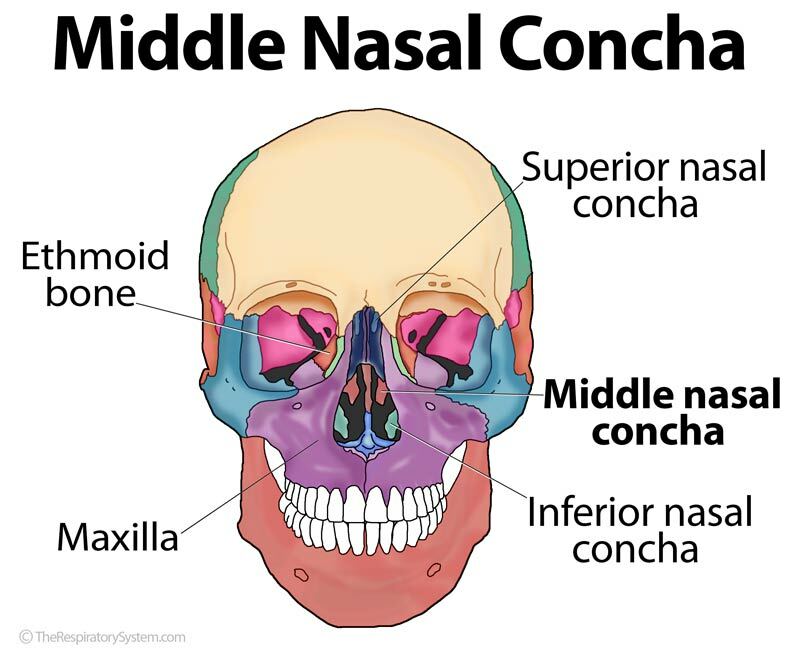 As the name suggests, the middle nasal concha or middle nasal turbinate is the bone located between the superior and inferior conchae . Being about the size of the little finger, it has a rough and groovy surface, forming the inferior border of the medial plate of the lateral mass (labyrinth) of ethmoid . The branches of the olfactory nerves lodged in the grooves are then distributed to the thick mucus membrane that covers the superior nasal turbinate . The middle meatus is located below the curved border of the middle concha. 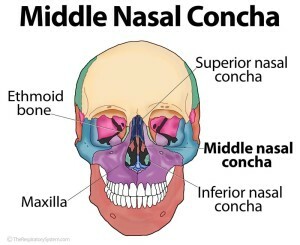 The thin bone protects the maxillary and ethmoid sinuses, preventing any direct contact between them and the pressurized nasal airflow. Most of the air inhaled during each breath travels between the middle meatus and the inferior turbinate.